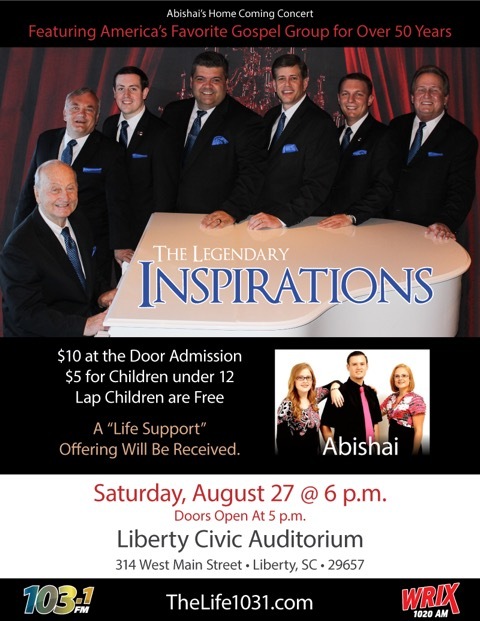 The LifeFM presents Abishai’s Homecoming concert featuring the legendary Inspirations! The concert will take place Saturday, August 27 at 6:00 P. M at the Liberty Civic Auditorium in Liberty, South Carolina. Admission is $10 at the door or $5 for children 12 years old and under. For more information visit TheLifeFM.com or call 877-700-8047. WHQA 103.1FM announces its first birthday celebration featuring America’s top quartet Triumphant Quartet and special guests, The Ball Brothers! 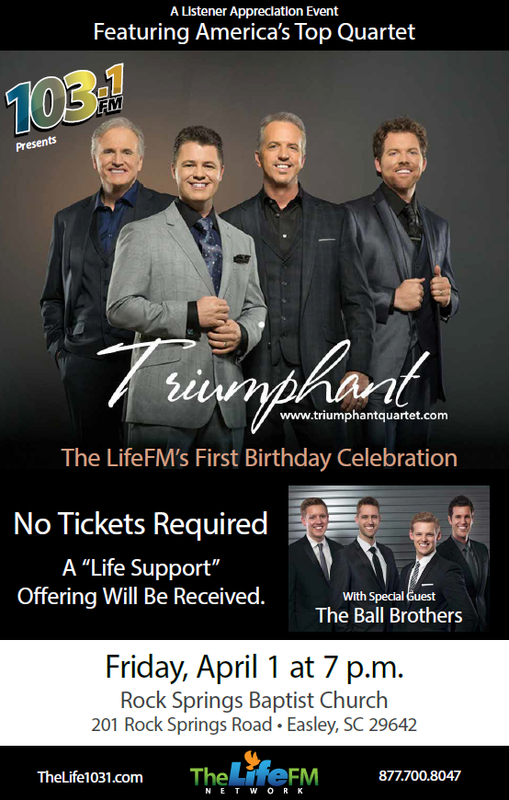 The LifeFM will host the concert, which begins at 7:00 PM on Friday, April 1st at Rock Springs Baptist Church in Easley, SC. Tickets are not required for this concert, but a “Life Support” offering will be received. Since its initial launch date of March 1, 2015, WHQA 103.1FM has quickly gained a strong audience base in the Upstate of South Carolina. The uplifting and powerful message of the music has especially been an appealing factor. 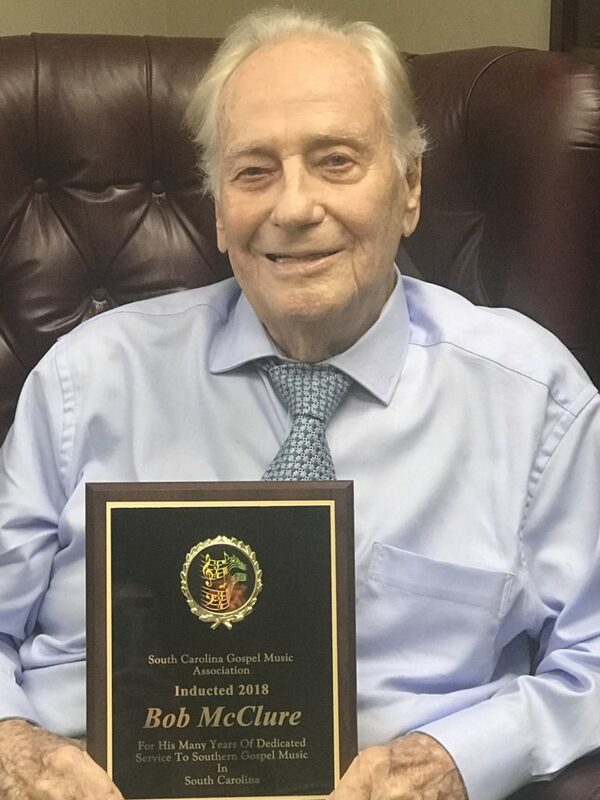 Sponsoring a listener appreciation event for its local fan base seemed to be the perfect balance, says Rodney Baucom, Network Director and Executive Producer. Baucom is also one-half of the daily “Get-Up-and Go” Morning Show team. Every weekday morning from 6:00-10:00, Baucom and his co-host, Dennis Smith, livestream from WHQA headquarters, providing listeners with a daily dose of comedic, good-natured fun. The LifeFM’s mission is “to encourage, inspire and enrich lives. On a daily basis, we celebrate life and navigate through the challenges it presents. We are ‘living life together’.” With a steady, non-commercial format of quality programming and the best selection of Southern Gospel music, The LifeFM hopes to accomplish this mission in the hearts and lives of its followers for many years to come! For more information about this event, please visit The LifeFM website at www.TheLife1031.com or contact them at 877-700-8047.